ERVA could have not found a better word to describe the client that Mr. Caira represented in Spain: clandestine. 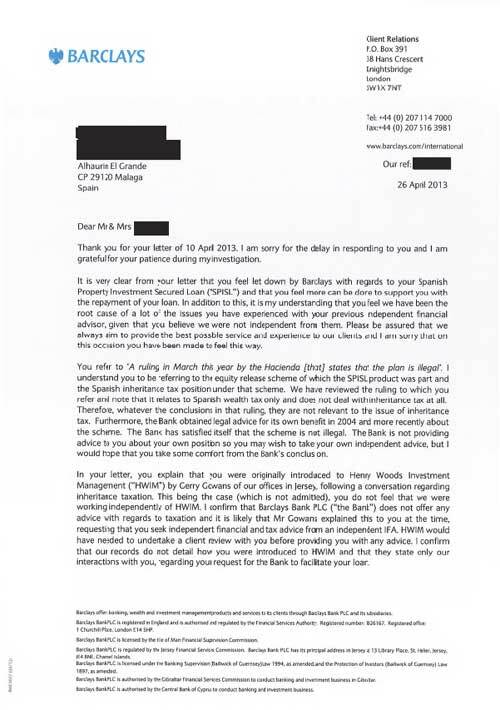 From his Bilbao office, this “contract negotiator” expert had wholly ommited the fact that his client, Surrenda-Link Mortgage Holdings, had no authorisation to operate in Spain because it lacked the required license by the Bank of Spain…without exception. This means that it was in breach of EU mandatory regulatory compliance with the host country, among other minor legals of obligatory observance. Together with his pal Javier Bicarregui Garay, another submissive lawyer who in turn represented -remotely- the victims of this fiasco devised by Charles “Charlie” Walton (without ever meeting them, talking to them or even the basic thing such as checking out the operation), with a power of attorney, tens of mortgage loans were signed off on distant properties via a servile happy-to-please Bilbao Notary…all of them, without exception, for an illegal investment purpose to evade Spanish taxes. Mr. Bicarregui Garay was granted, according to the press, the Order of the British Empire. It is strongly recommended that anyone that had given a power of attorney to Mr. Bicarregui Garay inmediately revokes it by formally signing a revocation of power of attorney public document, at the closest Notary Public. Barclays´ letters seem to dig a hole deeper for them whether it is to insist about the inheritance tax benefits (they still believe it works!) 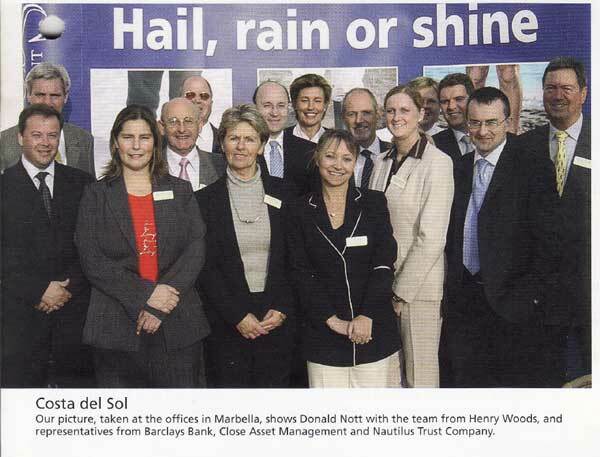 of their Spanish Property Investment Secured Loan (“SPISL”) or, as it happens, to question how could have someone been possibly introduced to Henry Woods Investment Managers, of all agents. In this latest missive, it says that the banks is not providing advice to you about your own position so you may wish to take your independent advice, but I would hope that you take some comfort from the Bank’s conclusion. And their conclusion is that the bank has satisfied that the scheme is not illegal. It then says that our records do not detail how you were introduced to HWIM…. perhaps this photo can clarify this seemingly unsolvable enigma, as well as how one ends up dealing with Barclays, offering tax evasion products, from the very heart of the City. Once again, the rats abandon the sinking ship! 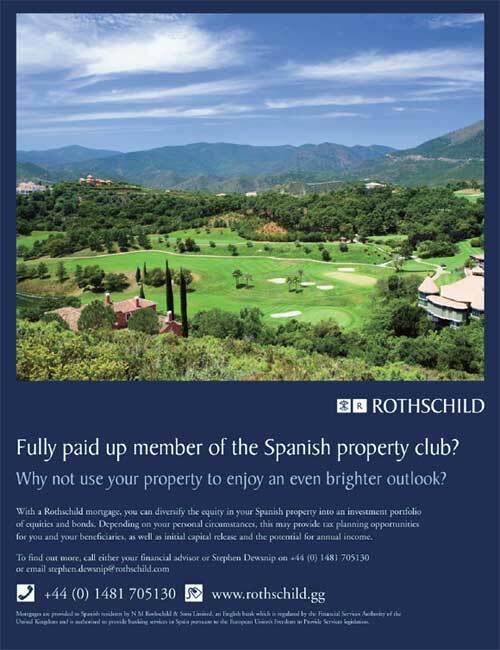 Danske´s John Lundskov golfing abilities ensured he could get many clients for his fraudulent Spanish Equity Release/Capital Assurance. One of such clients has just passed away: he was Danish, just like Lundskov, and had sufficient funds to not have to beg, borrow, work or deal with evil bankers. And yet, he was sold the miracle product by Lundskov on grounds that his IHT exposure would be close to 80%. His partner has now been left with a complicated situation: on the one side, she has documents from Danske Bank saying that this product is great to legally avoid taxes. On the other, Lundskov and Henrik Hjerrild Hansen are now nowhere to be seen when the tax thing is raised. And to make things even more complicated, the Spanish Tax Office has stated that under no circumstance is a loan a valid vehicle to avoid taxes in Spain, if it was not used to buy a home. We will now formally demand from Danske Bank Luxembourg that they comply with their “tax avoidance” undertakings and foot the bill, as appropriate.